Coimbatore is the second largest city of Tamil Nadu which is situated at the foot hills of Nilgiris. Coimbatore is the fastest growing cities in India. Most of the colleges are located in Coimbatore which provides higher education in various fields such as engineering, arts, social science, law, commerce, medical science, journalism etc. Education in Coimbatore is well developed and Colleges in Coimbatore have gained much importance. Government Arts College was the first college opened in Coimbatore. The courses offered by the colleges in Coimbatore are Graduate, Post graduate, Doctoral and Diploma levels. Several colleges are located in Coimbatore namely Coimbatore Institute of Technology, DJ Academy for Managerial Excellence, Dr Mahalingam College of Engineering and Technology, Government College of Technology Coimbatore, Government Law College Coimbatore, Guruvayurappan Institute of Management, Happy Valley Business School, Hindusthan College of Engineering and Technology, Jansons School of Business, Karpagam College of Engineering, KMCH College of Nursing, Kumaraguru College of Technology, Nehru College of Aeronautics and Applied Sciences, Nehru College of Management, Nehru Institute of Management Studies, Nethra Homeopathy Medical College & Hospital, Park College of Engineering and Technology, PSG College of Technology, RVS College of Nursing, RVS College of Pharmaceutical Sciences, RVS Dental College and Hospital, SAN International Business School, SNS College of Technology, Sree Narayana Guru Institute of Management Studies, Sri Krishna College of Engineering and Technology, Sri Ramakrishna Dental College, Sri Ramakrishna Engineering College, Tamil nadu College of Engineering, VLB Janakiammal College of Engineering and Technology. Colleges in Coimbatore offer higher education through different mode such as regular studies, distance learning. Certain colleges offer academic programs from their campus, residential academic centers and through affiliated colleges. Colleges in Coimbatore offer ample courses which are really incredible. Dental Colleges in Coimbatore are RVS Dental College and Hospital & Sri Ramakrishna Dental College. Nursing Colleges in Coimbatore are RVS College of Nursing & KMCH College of Nursing. Get connected to different colleges in Coimbatore which is just a click away. StudyguideIndia will provide you the information as required by you. Information which is provided here is correct. If at all you come across any errors you are requested to kindly let us know. 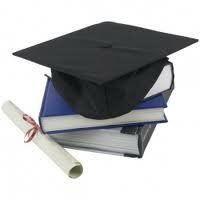 "Following are the list of Colleges in Coimbatore. All Colleges in Coimbatore are divided location wise. We have even listed Colleges in Coimbatore as per alphabetical order making it easy to find the desired college and information on it. If you come across any College in Coimbatore which is not found in our list below, please do let us know by using add in list which is default in our website�.